A book review of Don’t Lose Her by Jonathon King. 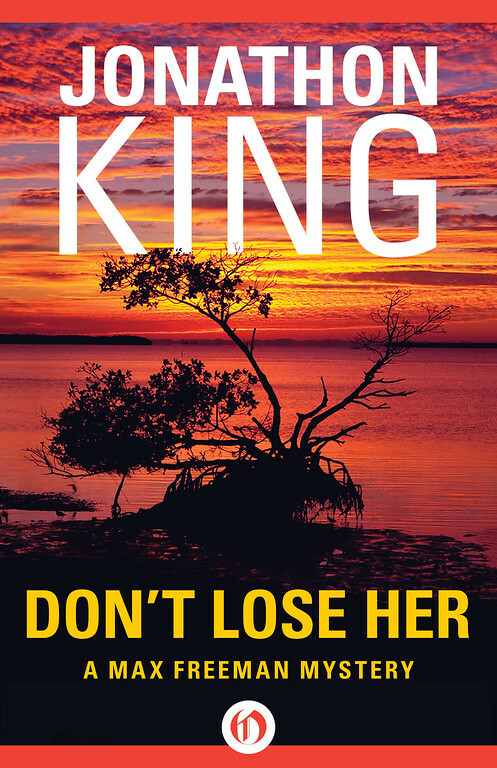 Don’t Lose Her by Jonathan King opens up with the kidnapping of a federal judge, Diane Manchester. Diane is the wife of Billy Manchester and is a good friend of Max Freeman, so it is no surprise that Billy contacts Max to be involved in the investigation. I have to confess that I haven’t read any of the Max Freeman series, I believe that this book is the 7th in the series. I will be reading them though, since I loved this book. As I said, the story opens with the kidnapping of the federal judge. We are given clues that there are two groups of people involved in the kidnapping. Those that have arranged it and are in charge and a young couple who are obviously in over their head. Diane is not your normal kidnap victim, she tries to keep her wits about her, and is careful to do things that might leave a trail for the investigation that she knows must be going on. This book was fast paced and held my interest from beginning to end. I found myself staying up late reading far into the night. Read this book. Loved it and now I will go back and read the ones I haven’t read!